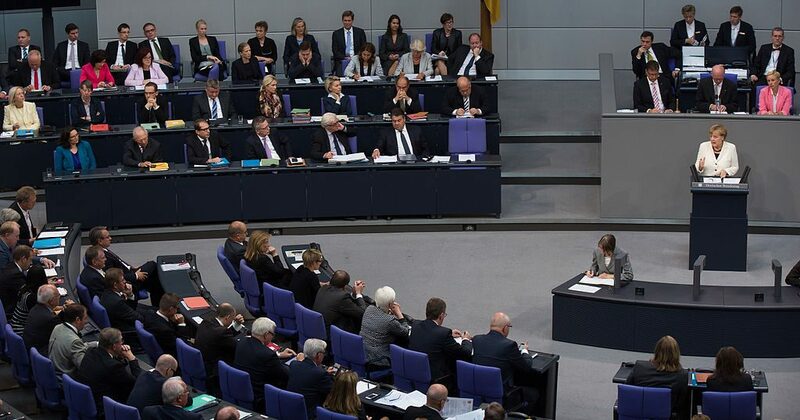 Germans head to the polls on September 24 to elect their government and chancellor for the next four years. – Chancellor Angela Merkel’s track record of economic success and strong EU leadership places her in good stead to retain the position for a fourth term. – Former EU Parliament President Martin Schulz cannot penetrate Merkel’s strong background, and offers few policy differences from his opponent. – Merkel’s CDU/CSU parties will likely align with Schulz’s SPD to form government, resulting in a deepening of EU integration and a worsening of relations with Turkey. After 12 years in the top job Angela Merkel is once again running for Chancellor of Germany, in an election she has deemed “like no other… since reunification”. Polls indicate she will soon become one of the longest serving European leaders of all time. Having governed among the likes of George W. Bush and Jacques Chirac, and spearheaded the EU’s response to the global financial crisis, Merkel is often considered the single constant during a turbulent period of international politics. Germany remains a top four global economy with low unemployment, facts pushed by the chancellor’s centre-right Christian Democratic Union (CDU) and Bavarian sister party the Christian Social Union (CSU) throughout the campaign. 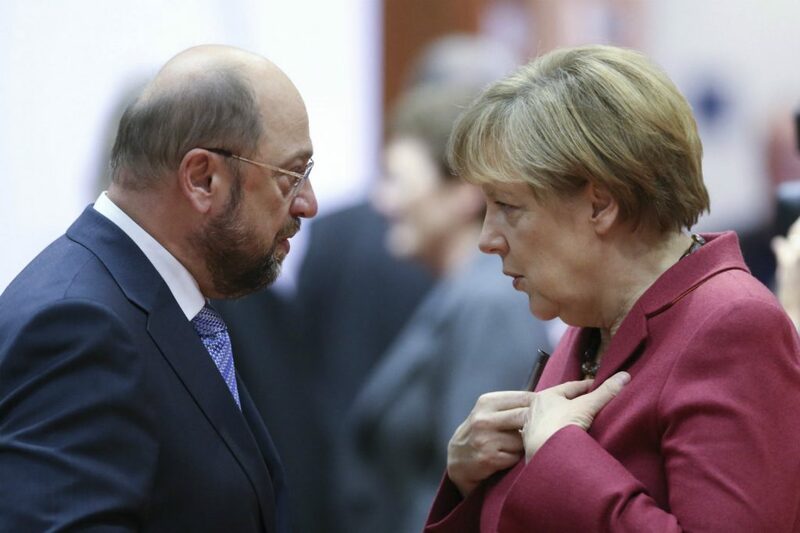 Merkel’s primary competition is former EU Parliament President Martin Schulz. Leader of Germany’s centre-left Social Democratic Party (SPD), his policies are similarly pro-European, with a focus on improved social welfare. Despite his initial popularity upon becoming SPD leader in March, Schulz now trails far behind Merkel in the polls. Extremist political groups are also playing a role this election. Polls indicate that the Alternative for Germany (AfD) will be the first far-right party to win seats in Germany’s parliament since the Second World War, and it may even form parliament’s third largest bloc. 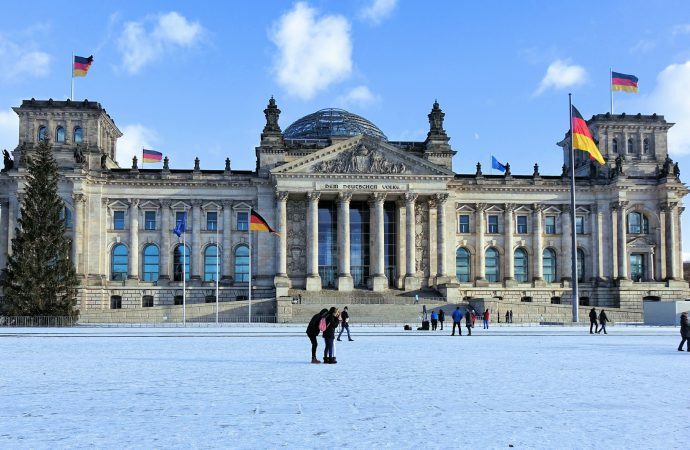 Other minor parties, including the Greens, The Left and the Free Democratic Party (FDP), could also play a key role in the election’s outcome. Despite the manifestation of populism in Germany, the country’s admiration for its chancellor has barely wavered over the past decade. Merkel is deeply respected as the country’s first female leader and a skilled economic manager; unemployment under her tenure has fallen from five million to two million. Against the backdrop of populist politicians such as Donald Trump and Marine Le Pen, her pro-Europeanism and resilient leadership resonate with older and younger Germans alike. Unlike Schulz, she has already proven herself to be a competent and trustworthy national leader. This history has made it difficult for Schulz to land a blow on his would-be rival. Despite initial polling success, he failed to gain any real advantage over Merkel leading into the campaign. Schulz’s similarly pro-EU stance offers little alternative to the chancellor’s and voters cannot differentiate between the two. He has also been hamstrung from targeting Merkel’s weak spots, such as her controversial open-door migration policy; as the CDU/CSU’s junior partner in government, the SPD is equally responsible for the policy and Schulz himself publicly praised it during its initiation. Migration remains contentious: over one million refugees have relocated to Germany in the past two years. This has fuelled the popularity of smaller parties such as the AfD, whose anti-refugee stance is particularly favoured in eastern Germany. The former communist region is home to an aging population that tends to prefer the Eurosceptic stance of minor parties to the mainstream politics of Merkel and Schulz. The nature of the German electoral system means that whichever party gains the largest vote share will almost certainly have to create a coalition to form of government. The current grouping is the so-called ‘grand coalition’ between the CDU/CSU and SPD. However, the elected party could also choose to join with a smaller one. Both major parties have vowed not to join with the AfD if elected, although it is unlikely to play kingmaker after recent party infighting hurt its popularity. Ultimately, the election has become a competition between two democratic Europhiles. Their similar positions mean that Schulz offers no clear alternative to Merkel, whose history of success gives her the upper hand. The latest opinion polls indicate that the CDU/CSU partnership will win over 36% of the vote on Sunday. It will almost certainly gain the largest number of seats, but will fall short of the majority required to form government alone. 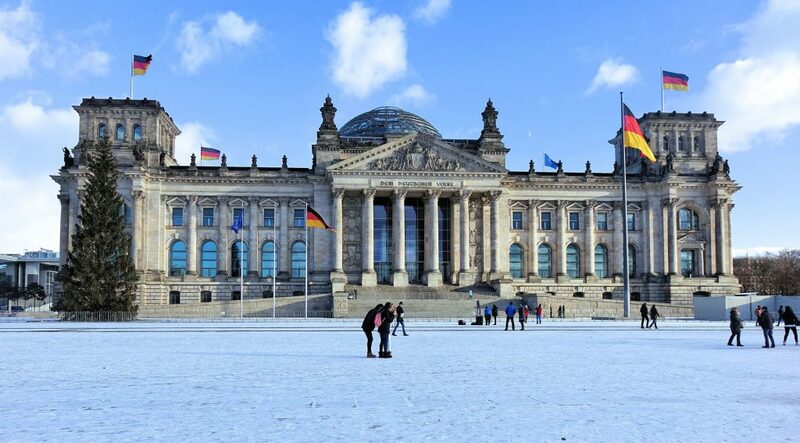 Whichever party the conservatives choose to align with will therefore have a considerable impact on the future of Germany, Europe and the world over the next four years. With Schulz’s SPD set to win the next largest proportion of seats, a continuation of the grand coalition is most likely. Their similar policies and vision of a unified EU with Germany at the helm also make this appealing. That said, Merkel and Schulz’s different ideas regarding finance and EU leadership will strain such an arrangement. Moreover, both the CDU/CSU and SPD have distanced themselves from the idea of another grand coalition, claiming that it’s bad for democracy. Alternatively, Merkel could try to form government with the pro-environment Greens and/or the pro-business FDP. The chancellor has stated that she would prefer support from the Greens but the party is unlikely to win enough seats for this to occur. FDP leader Christian Linder would also be valuable as a pro-European partner, although its migration and energy policies would strain a potential coalition, particularly one that includes the Greens. Regardless of which coalition forms government, the next four years will be particularly important for the future of the Franco-German relationship. Already close associates, Merkel and French President Emmanuel Macron would continue to work together toward a stronger, more unified EU. With the region’s two top economies so closely allied, the EU looks certain to become more integrated. This will involve the appointment of an EU finance minister, an issue Merkel and Macron have already agreed upon. Nonetheless, there remains discord regarding other areas of integration, which will be somewhat appeased if the grand coalition continues post-election. Macron also worked closely with Schulz at the EU when the former was France’s economic minister, a partnership that could quickly be resumed. As part of a grand coalition, the SPD would push the conservatives to be more lenient toward France’s interests, including softening Merkel’s contested austerity policies. A grand coalition would also see Germany take a stronger stance toward Turkey. Merkel has threatened to suspend Turkey’s associate EU membership after the recent arrests of German citizens by Turkish forces. Schulz has gone further by advocating breaking off diplomatic ties altogether and he will push this agenda if his party forms government with the CDU/CSU. Further disintegration of German-Turkish relations lies ahead, which will have a ripple effect on the EU-Turkey relationship. While Ankara has little choice but to continue with the current immigration deal, it is unlikely to be cooperative regarding migration flow over the years to come. This may prove a long-term headache for Berlin and the EU. Ultimately, Angela Merkel’s fourth term as chancellor is all but guaranteed. The future is one of deeper integration within Europe, with Germany and Merkel at the helm once again.